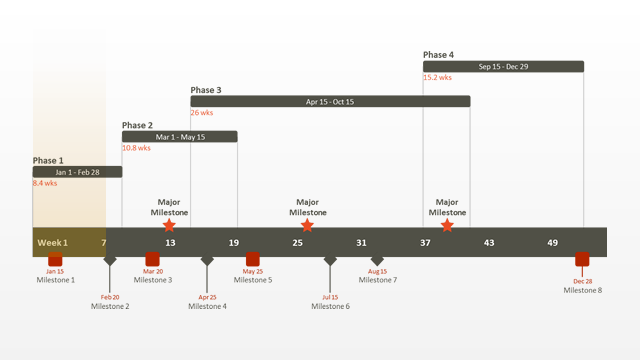 This free PowerPoint timeline template has been designed for professionals who need to quickly make high-level timeline presentations to important audiences. Clients and executives expect to see clear, intuitive, easy-to-follow visuals when reviewing any project plans, programs or business summaries. They also expect to see these communications in a way that is familiar to them and in a tool that they are comfortable using. A tool like Microsoft PowerPoint. 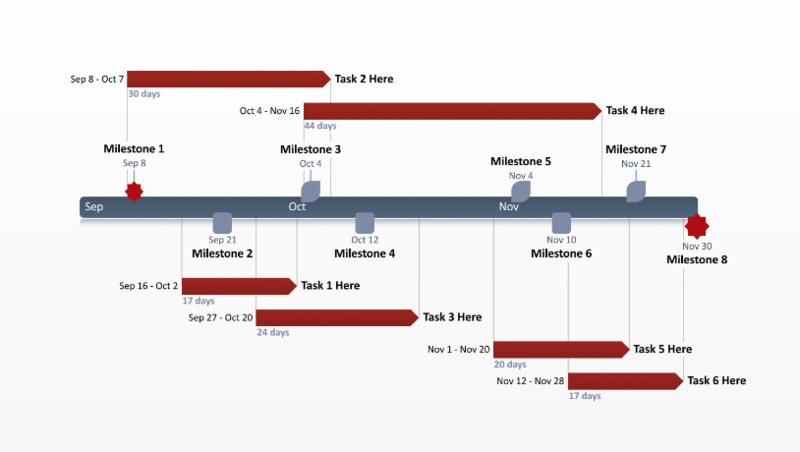 Complex Gantt charts or other visuals created by project management tools or stand-alone planning applications are complicated, challenging to follow and hard to work with. The Microsoft PowerPoint timeline can be easily shared and edited by teams, customers and management who use PowerPoint. It will showcase your work in a way that will be easy for them to understand and pay attention to. 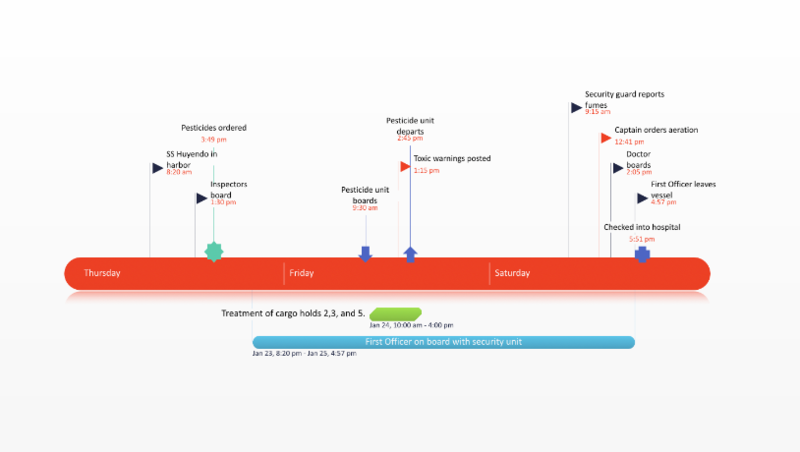 The PowerPoint timeline template will be a refreshing alternative for anyone who has been presented typical Gantt charts and project schedules in the past. It will make a timeline that is suitably high-level for any audience who are not involved in the daily detail of your project or plan. The template can be edited in PowerPoint by manually by adding your project or plan’s data, or you can automatically edit it by downloading the free timeline creator from Office Timeline. 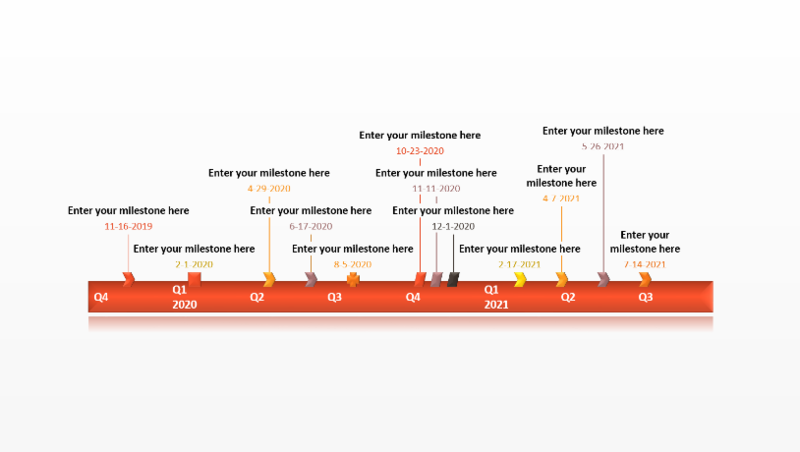 The timeline template has been built to work with Office Timeline’s free timeline creator app for Microsoft PowerPoint. With it you can add your plan’s milestones and tasks quickly, and change them instantly. The tool is a plug-in, which means you can edit this timeline template or create timelines quickly from right inside PowerPoint. All changes happen instantly so you can repeatedly update your slide as fast as clients and executives expect them, without having to manually rebuild the slide each time. 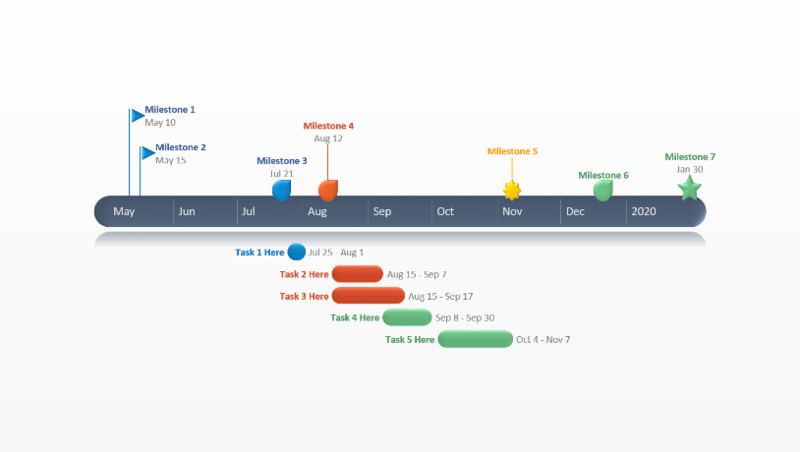 Office Timeline Plus also integrates with project management applications such as Microsoft Project. It enables you to import all of your existing project data and create a timeline slide in PowerPoint automatically.